The Frontside Kickturn is an obvious next step after you’ve learnt to Backside Kickturn. Being able to kickturn both ways will open up way more lines and you’ll find yourself enjoying your local bowl or ramp way more! Being confident with the backside kickturn will help you hugely with this trick. We recommend that you learn that first! 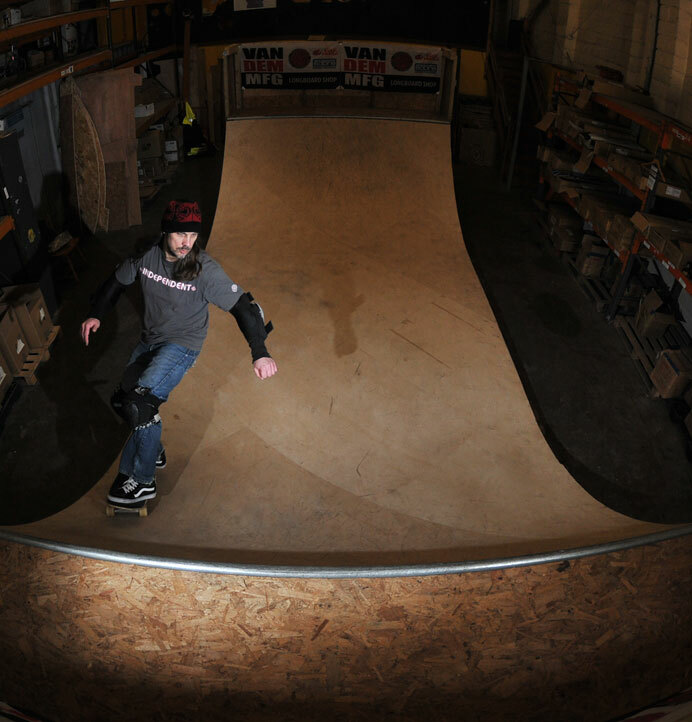 Give this a go in the same ramp you learned the backside kickturn. Smaller ramps will be easier to get to the coping on. As per the backside kickturn, you can just learn the frontside kickturn by turning halfway up the transition. 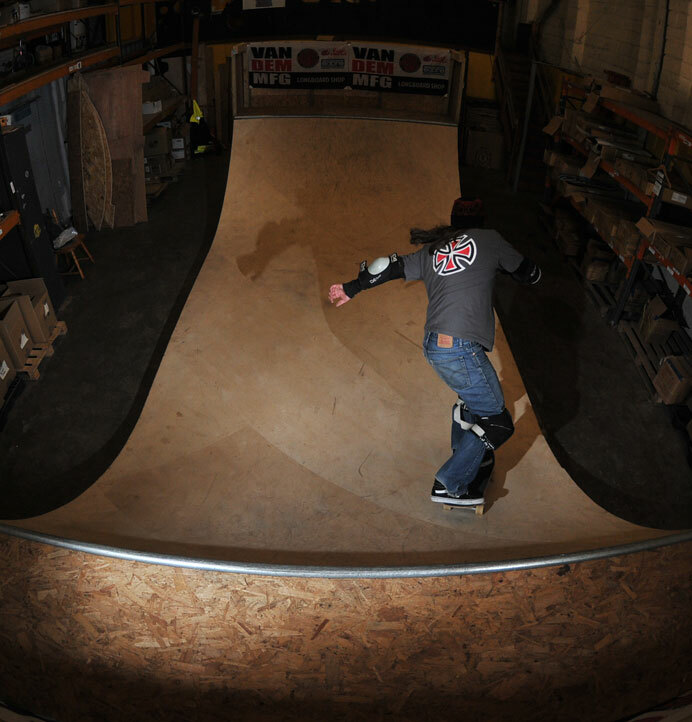 It’s exactly the same body movement whether you do the kickturn at the top on the coping, or below it in the ramp. 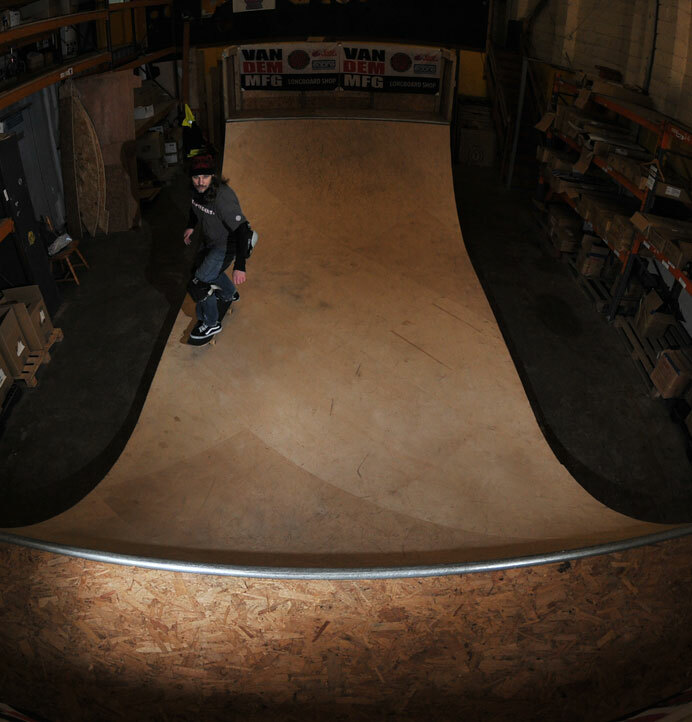 Start small, right at the bottom of the ramp, and work your way up to the coping. As the rotation is “blind,” you’ll need to be a lot more positive and aggressive than the backside kickturn. You’ll find that you have to bully the board around – this feels more “slashy” than the backside version. Persevere though, as the frontside kickturn feels way radder than the backside version! 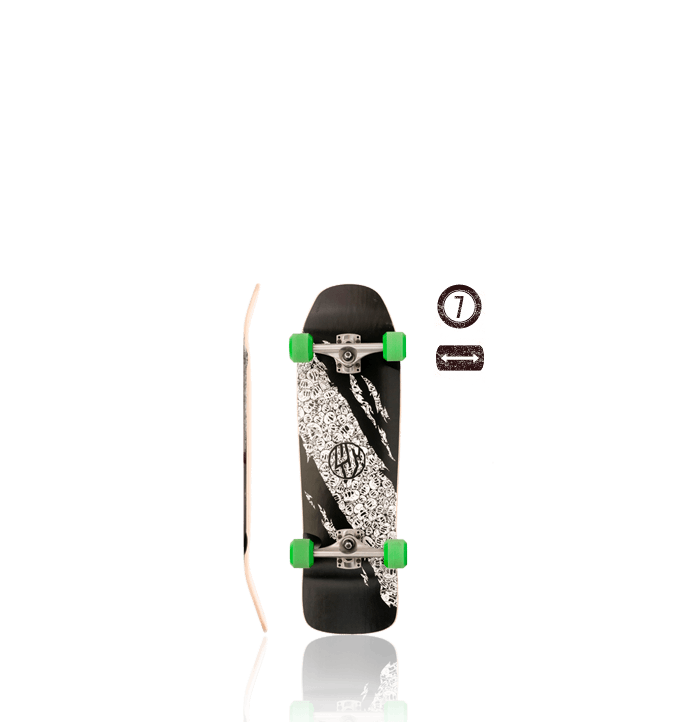 We recommend a shorter regular shaped or old-school shaped board like the Dagyr for all transition skating. Approach the coping at whatever speed you are comfortable. 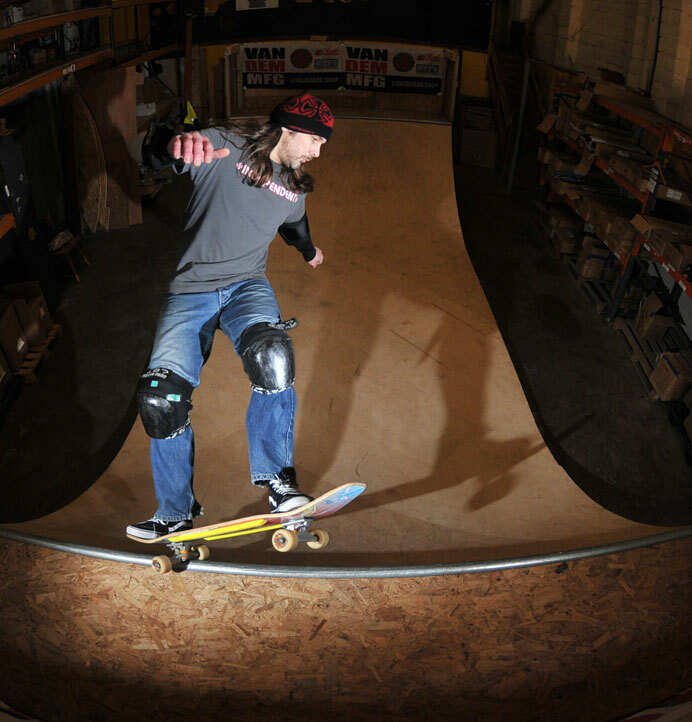 Give yourself plenty of room to make the turn – Adam is right on the edge of the ramp for as much space as possible. You don’t need to be going very fast to hit coping. Keep you eyes on the bit of the coping you want to hit, or the part of the transition that you want to turn on. At the bottom of the transition, start to carve by loading up your heelside rail. Keep your eyes on the spot where you want to do the turn. Remember – your board will always follow your head and body, so keep looking to where you want to be and it’ll all work out. Here comes the committing and slightly scary bit! As you get further up the transition, it can feel as though you’re about to fall backwards. Don’t worry – just keep focused and keep turning! 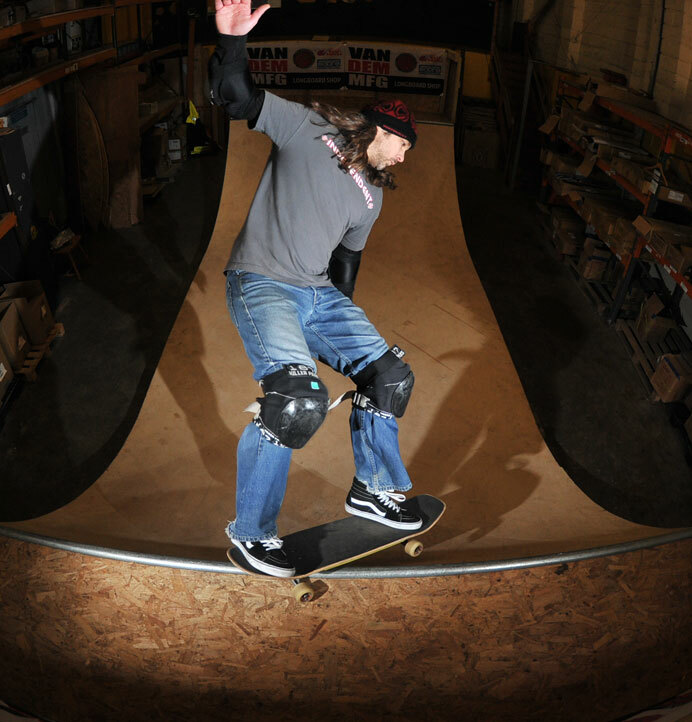 As you get to the top of your turn, unweight the nose to bring the front of the board off the ramp. Open up your body to allow your head and shoulders to turn back into the ramp. You can lead your legs and board with your head, shoulders and arms. 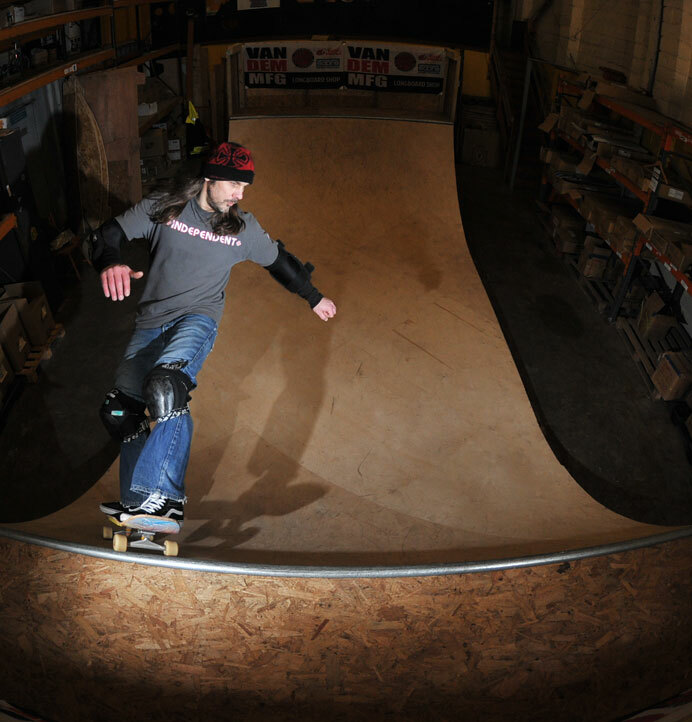 So really concentrate on looking back down the ramp, swinging your back arm around and over the top, and keep your leading arm low and pointing into the ramp. You can really see here how Adam is already looking back down into the ramp, and his arms are further through the rotation than his legs and board. This is definitely more intimidating than a Backside Kickturn, but just keep going for it and you’ll get coping eventually! Keep the rotation going with your head, shoulders and arms, and the board will come round to point back down the ramp again. Stay light on your feet and relaxed, and you’ll make it. Start to level out your weight, ready to drop back in again. Shift your weight forwards, just like dropping in. Commit and you’ll make it. As you shift your weight forward and un-weight your back foot, your board should just roll over the coping and back into the ramp. Compared to the backside kickturn, you’ll need to be litle more aggressive and committed to dropping back in. Keeping your weight forward, ride down the transition and onto the next trick or turn! If you hit the coping then we hope half the skatepark are smashing their boards on the floor in appreciation right now.